Fox Home Entertainment has announced the date and released artwork for the crime-thriller comedy, Keeping Up with the Joneses starring Zach Galifianakis, Isla Fisher, Jon Hamm and Gal Gadot and directed by Greg Mottola (Superbad). Click on the link below or image to the left to check out the features and artwork. 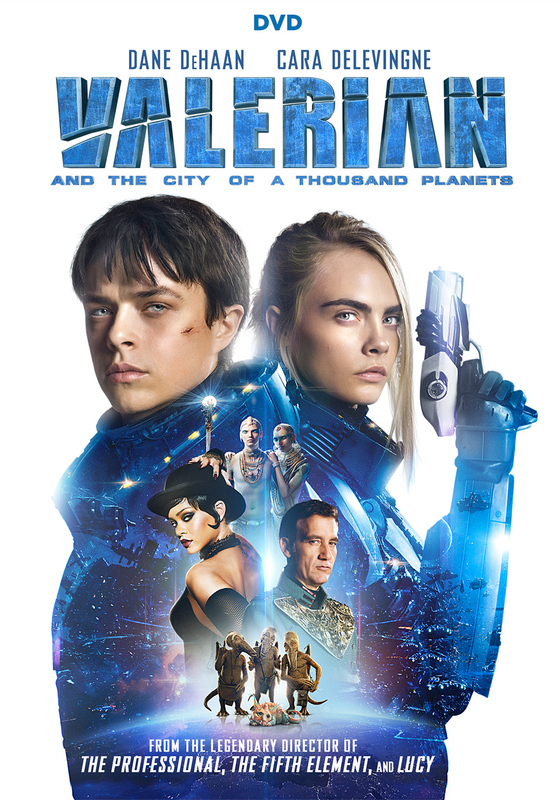 FoxHome Entertainment has announced a November 21, 2017 release date for Valerian and the City of a Thousand Planets. The 4K UHD and Blu-ray will come with a 7.1 DTS-HD Master Audio track while the DVD will have the usual Dolby Digital 5.1 audio mix. The 4K Ultra HD Combo Pack, Blu-ray Combo Pack, and DVD for the suggested retail price of $42.99, $39.99 and $29.95, respectively. 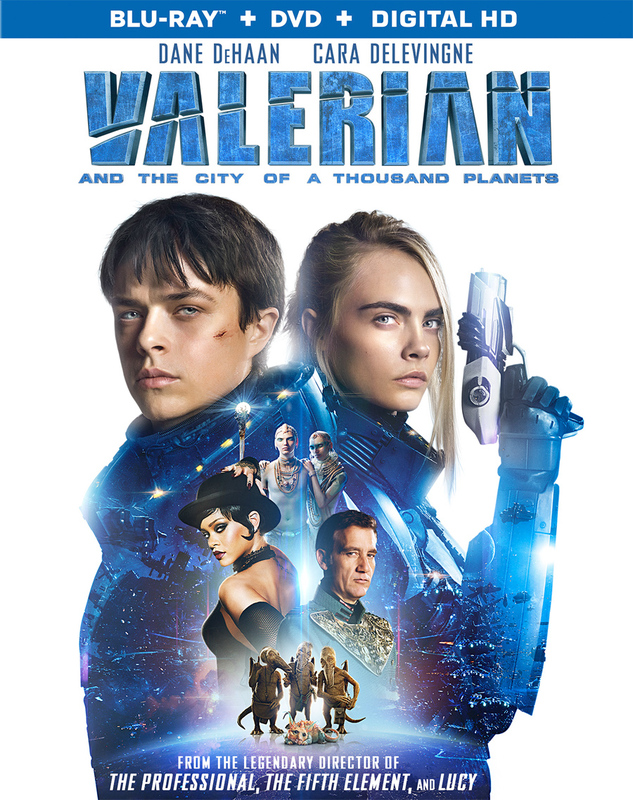 Synopsis: In the 28th century, Valerian (DeHaan) and Laureline (Delevingne) are a team of special operatives charged with maintaining order throughout the human territories. Under assignment from the Minister of Defense, the two embark on a mission to the astonishing city of Alpha—an ever-expanding metropolis where species from all over the universe have converged over centuries to share knowledge, intelligence, and cultures with each other. 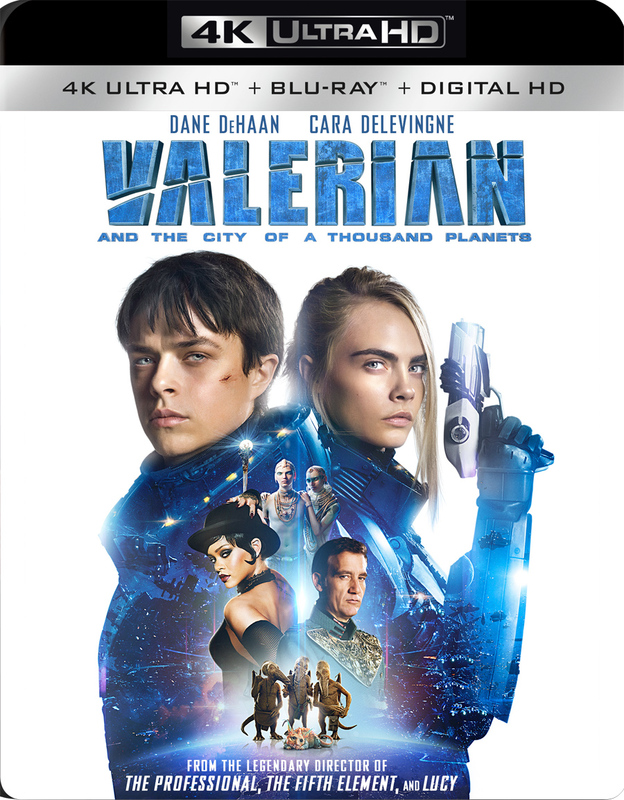 There is a mystery at the center of Alpha, a dark force which threatens the peaceful existence of the City of a Thousand Planets, and Valerian and Laureline must race to identify the marauding menace and safeguard not just Alpha, but the future of the universe.